In a bowl combine sprouts, olive oil, sugar and salt and toss to coat. 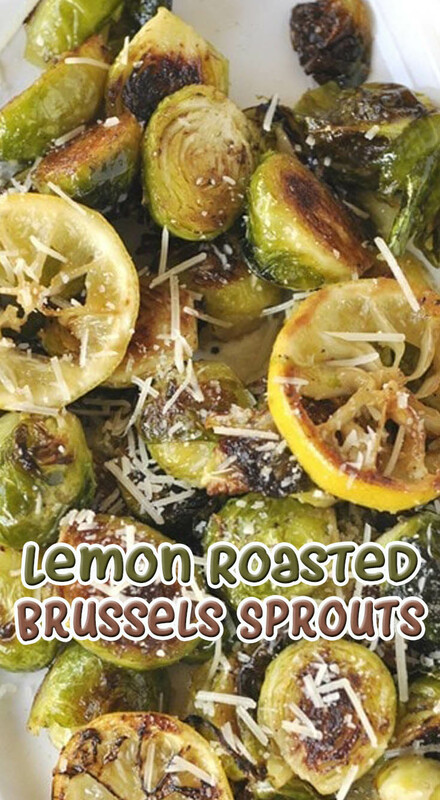 Roast for 10 minutes and then turn sprouts and add lemon slices. Roast for an additional 10 minutes or until sprouts are golden and tender. In a small bowl combine melted butter, pepper and lemon rind. Top with freshly grated Parmesan cheese to serve.